Any golfer who reaches a single figure handicap and has aspirations of consistently shooting in the 70s and perhaps going lower, already has a sound swing fundamentals. A good player’s swing does not change much from day-to-day. What does change is your tempo, which can have a detrimental effect on your transition from backswing to downswing as well as your timing at impact. If you can develop a consistent tempo you will find you won’t get any great fluctuation in your ball-striking. It is important to note that tempo in the golf swing is not clubhead speed. Look at the swings of Adam Scott and Jason Day – both have a clubhead speed of around 120-122 miles per hour at impact. But the tempo of their swings is different, with Scott at around 56 BPM and Day at 60. In a golf swing, tempo refers to the beat per minute (BPM) of the swing as it is timed from the start of the swing to impact. 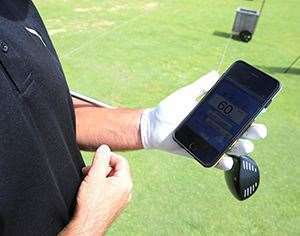 The best way to find your best ball-striking tempo, is using a metronome. I suggest downloading a free metronome app onto your smartphone, plug in your earphones and set the metronome to a certain BPM and start hitting balls. Start your swing on one beat and hit the ball on the next beat. Keep hitting balls and adjusting the BPM to a beat where you are happy with the results of your shots. 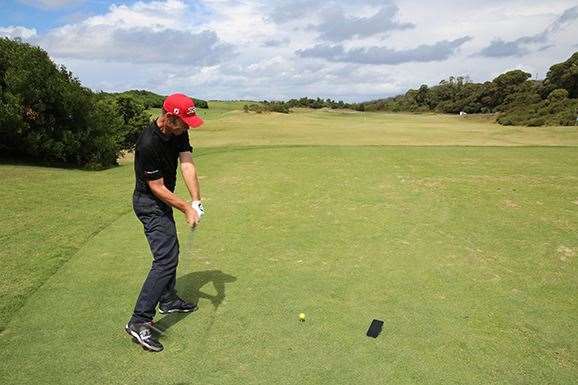 Once you know the BPM or tempo of your good swings, you can work on grooving that tempo on the range. When you head out on the course you will be able to draw on your memory of good swing tempo to get a consistently good ball-strike more often.